Stan tops 1 million viewers, announces new dramas & output deals. Nine / Fairfax streaming service Stan, has surpassed 1 million active subscribers. At a Sydney media event yesterday CEO Mike Sneesby announced new output deals with Starz & MGM and new local dramas. In attendance were producers from Playmaker Media, Jungle Entertainment, with writers including Vicki Madden & Glen Dolman plus actors Rachael Blake, Matt Okine, Elsa Cocquerel, Tess Haubrich, and “Stan-bassador” Beau Ryan. “We’ve had a very strong tradition internally at Stan of ringing a little bell, everytime we achieve an important milestone,” said Sneesby. But Sneesby revealed a much larger bell for a big announcement. Sneesby announced long-term exclusive output deal with Hollywood studio Lionsgate, which will deliver all future Starz-produced series and more. A second multi-year output deal will bring all future MGM drama series and hundreds of hours of iconic series and movies, including the Bond franchise. “The Australian television landscape continues to change rapidly and with that change, the ambitions and opportunities for Stan continue to grow. We have set out to pioneer the future of television in Australia and today’s subscriber milestone is a great indication of how quickly Aussies are changing their TV viewing habits. Premium programming is the key driver of our business growth and strategy and today we have announced some important strategic partnerships that will help us continue to change the face of television in Australia,” Sneesby said. There are two new local dramas plus one returning title. 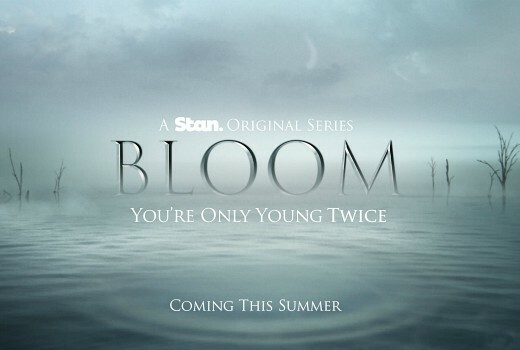 6-part mystery drama Bloom is written by Glen Dolman and produced by Playmaker, in partnership with Sony Pictures Television. John Curran (Tracks, Chappaquiddick, Praise) has signed on as a director in his first ever TV project. Bloom is set one year after a devastating flood kills five locals in an idyllic country town, where a mysterious new plant appears with the power to restore their youth. It’s a gift of power beyond the wildest imagining… a phenomenon so formidable that attempting to harness its potency means re-evaluating everything that’s important. It’s a miracle some will kill to keep secret. It will go into production in August in Melbourne and will premiere on Stan later this year. 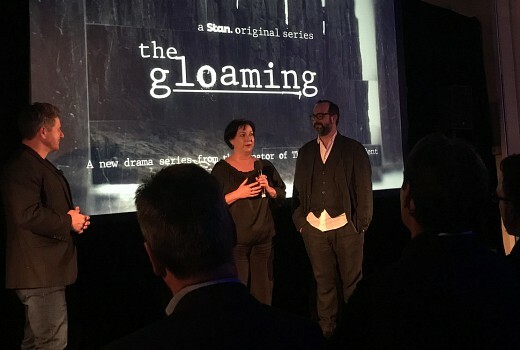 The Kettering Incident’s Victoria Madden created an 8-part drama series, The Gloaming, produced by Madden and John Molloy (Molly, Boys in the Trees) in partnership with Disney’s ABC Studios International. The Gloaming: the twilight space where light meets dark, the space between awake and asleep, where time passes but secrets linger… Unorthodox, troubled cop Molly McGee leads an investigation into the murder of an unidentified woman. To solve the case, Molly has to team up with Alex O’Connell – a man she hasn’t spoken to in twenty years – and they discover that the murder has links to a cold case from the past. What begins as a routine investigation exposes something more insidious, and to catch the killer, Molly and Alex have to face the ghosts of their past. Production will commence in Tasmania in the second half of 2018 and premiere in early 2019. A Christmas special, No Activity: The Night Before Christmas, will reunite Patrick Brammall (Glitch, Upper Middle Bogan, A Moody Christmas) and Trent O’Donnell (New Girl, Brooklyn 99, The Good Place, A Moody Christmas), who will also direct. Jungle Entertainment will commence in the second half of 2018, to premiere in December. The festive one-off special is an improvised comedy that follows detectives Hendy and Stokes (Patrick Brammall, Darren Gilshenan) on their latest police assignment, this time with a seasonal twist. Tasked with a Christmas Eve stakeout, the pair monitor the scene from their parked car as a disgruntled Santa Claus holds a group of innocent Christmas shoppers hostage inside a suburban shopping mall. A screening of Younger season 5 premiere wrapped events. Bravo Stan. I look forward to the day they commission a series everybody really goes for something that just gives them a little bit more of an edge and a little bit more commercial bargaining power. Good on Stan for achieving 1 million subscibers.I’ve actually been having trouble finding a lot to watch on Stan lately and only subscibe every second or third month.They seem to have a lot of second tier shows like Good Behaviour and Imposters,which are ok,but not exactly must see tv,in my opinion. They seem to lack the big marquee shows that Netflix and Foxtel have. Stan is surprisingly good. This is very deserved. Needs more 80s and 90s shows. So many great series from that era lost in the age of peak TV where there are hundreds of dramas you’ve never heard of clogging up the Internet! I signed up a week ago today actually. All we’ve watched so far is RuPaul’s Drag Race. Stan does need a top up of its current show content as it was starting to become a bit stale, with Netflix constantly adding new content, albeit not always of top quality, Stan needs to keep some attractive titles available to keep their subscribers happy and more importantly for them new subscribers coming in. I actually prefer Stan to Netflix and have convinced many a friend to subscribe and none are ever upset!! Must say reader feedback for Stan has been pretty consistent, which is not easy against a big gun like Netflix. And people always separate it from feelings around Nine brand. It’s a great myth but not true, I asked. If these numbers doesn’t scare Foxtel then there is no hope for them and that does not include Netflix! in 2017, Foxtel broadcast subscribers (cable & satellite) grew 1.8%; Foxtel from Telstra grew 6.8%; Foxtel broadcast + Foxtel Now grew 3.8%. 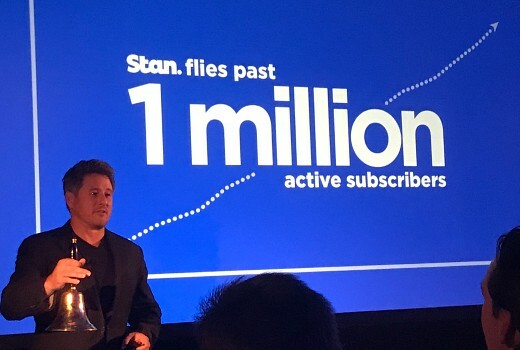 The article quotes the CEO saying “Today we are delighted to share with you that Stan has passed the milestone of 1 million active households” – no mention of subscriber numbers or what the growth was (or the period). Impressive numbers, and Foxtel would certainly be watching them, I doubt they’d be scared by them. Foxtel isn’t pure SVOD of course, where Stan is. The locals vs Netflix is the story for me here. Hmm, notice the quote in the screenshot vs the one in the article…..
Did they grow in subscribers but lost sub $$ as people flocked to less expensive packages? Foxtel’s cable and satellite subscribers fell 1% between 2016 and 2017 to 2.8m (according to News Corps’ annual report). They have also lost most of their advertising revenue to the internet and had to offer the cheaper Foxtel Now which canablises their cable subscribers. The are now going to shut down the HFC cable (which the NBN is trying to use) and will move its subscribers to HD satellite (which won’t be popular when there’s a thunderstorm during a major sporting event). After all the trouble and money they sunk getting HD cable and the IQ3 to work. I’d say they were not unworried by Netflix’s 4m subscribers and Stan’s 1m. I think you’ll find the move from HFC to satellite will be a very gradual process. The cost to do it quickly would be astronomical, and they’ll lose a bunch of MDU residents because many don’t allow satellite installations, which may be offset by residents moving to Foxtel Now (there are several MDUs like that in my street in that position). Having stayed in places with satellite when there were storms, I’d be unhappy to move to satellite. I’m curious where those %’s come from? Care to give a clue? Ah, raw subs #’s – I was thinking of penetration / market share, which even on those figures is stagnant (or even down slightly) e.g. # of subscribers grew by 1.7%, while # of households in Aus grew by 1.8%~1.9% over the same period (& population grew by ~1.6%). The Foxtel by Telstra growth is primarily intra-Foxtel/Telstra ‘churn’ (though they don’t call it that) i.e. from “Foxtel by Foxtel” to “Foxtel by Telstra”. That bumped up when the NBN started & Telstra started re-signing people up to bundled contracts, & has continued at much the same level – Foxtel have acknowleged that but seem happy to wear it. Both Foxtel direct and Foxtel from Telstra have increased their subscriber numbers, so even after churn from one to the other, Foxtel direct still increased, and did so faster than population growth. And churn at Foxtel direct has reducted (Foxtel from Telstra figure not mentioned in the results as far as I can tell) It’s common to forget the Foxtel from Telstra side. Shame they don’t provide Foxtel Now figures – it’ll be interesting to see how that has gone. Not being pure SVOD, it’s not directly comparable to Stan/Netflix, but still. Shame they haven’t released more apps since the PS4 one – that’s a mistake for them I think. So what is the ratings ? First it says — one million viewers, — then — one million active subscribers — then — one million active housholds — aren’t all these numbers different ! sorry to pick. What happened to Roxy Jacenko being an ambassador?